TOUR DETAILS - Rila Monastery Bus From Sofia. Tour To Boyana Church And Rila Monastery. Special timetables, rates and conditions apply during the Easter holidays! Note that these may show differences as compared to the normal tour program as per below. Rila Monastery is an acting Christian temple. Visitors are expected to observe the dress code, that is, wear clothes that cover their shoulders, elbows and knees. High heels are not appropriate as well, because the inner yard of the monastery is cobbled. The Rila Monastery is 1150 m a.s.l. in the heart of Rila Mountain. Weather changes quickly and even during the summer it can get cold and rainy. We recommend that you bring warm clothes. The official currency in Bulgaria is the Bulgarian lev (pl leva) and this is the only currency accepted in the shops, museums and restaurants in and around the monastery. Kindly note that payment by credit or debit card is not possible! There is only one ATM at the monastery and sometimes it is out of order. We recommend that you bring cash with you. Fewer and fewer people send post cards, but if you are one of those people, know that there is a post office in the Rila Monastery, which is working during the week. There is no Wi-Fi in and around the monastery. 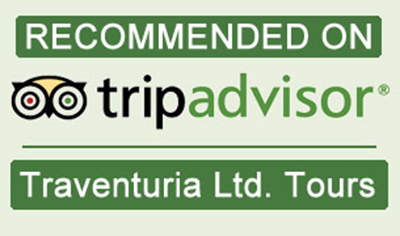 In most of Traventuria’s vehicles there is free Wi-Fi, which you can use while on the road. There is a mobile network coverage during the whole journey. Rila Monastery complex and the surrounding it Nature Park are very photogenic, colorful and opulent. Visiting the area for the first time is one of these special moments in life that deserves to be archived in pictures. Note that pictures inside the main church and the museums is not allowed. The tour’s departure point is St. Alexander Nevski Square (south-east corner; at the parking lot in front of La Cattedrale restaurant. The tour starts at 9:00 am. You will received a map with instructions after completing the booking). Hotel pick-up can be ordered, but are surcharged 5 euro per booking. The tour concludes in the afternoon with drop off at Al. Nevski Cathedral. This is a tentative itinerary! The tour program can be changed by the guide for the convenience of the group, while taking into account factors as group size, Boyana Church’s visitor’s free time slots, traffic etc. 9:00 am Depart from St. Alexander Nevski Square (hotel pick-ups are arranged usually before this time) and then travel by modern minibus to the famous Rila Monastery. Distance: 140 km/87 miles (appr. 2-hour drive). 11:10 am Arrival at the monastery and guided tour in English of the monastic complex. Read more about the monastery from the Learn More menu. 12:40 pm Free time for lunch and exploration of the complex at your own. Learn more about what to eat in the local restaurants by following this LINK. 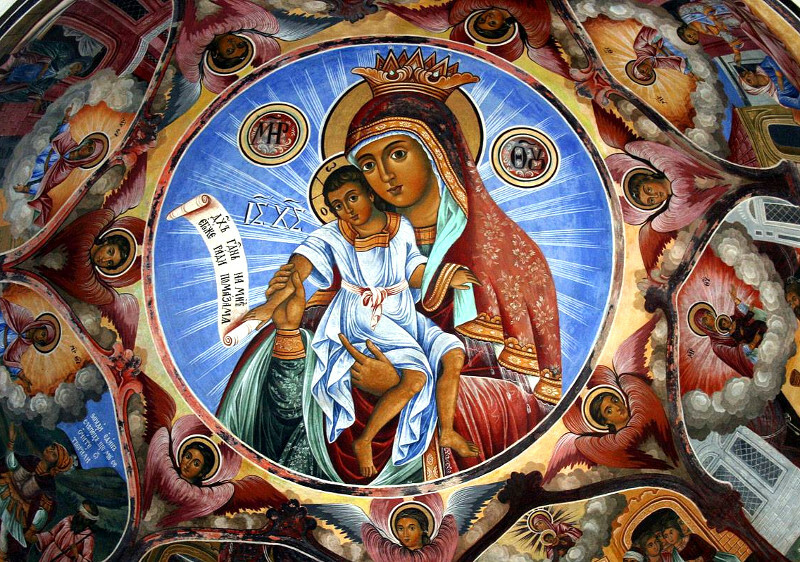 2:00 pm Depart for Boyana Church, a sight located at the suburbs of Sofia. 4:10 pm Arrival at Boyana Church and guided tour of the temple in English. Boyana Church is a small museum and only 8 people at a time can enter it. 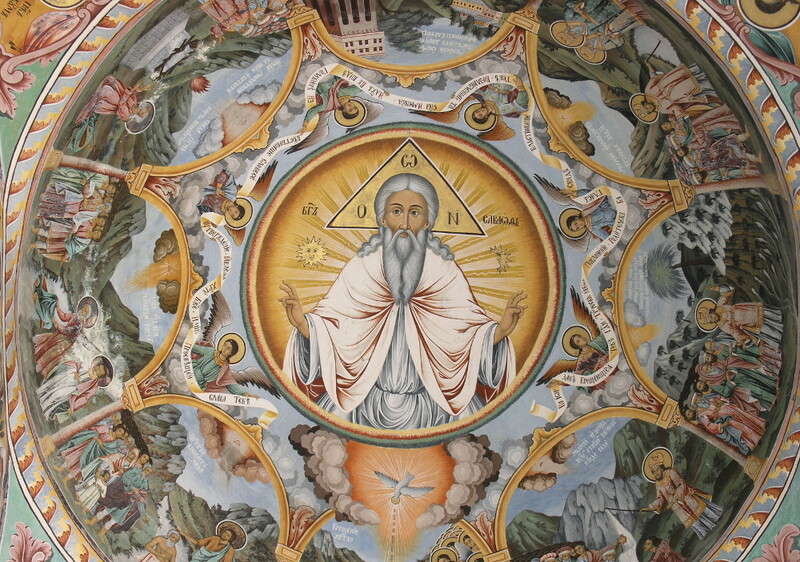 Read more about Boyana Church by following this LINK. 5:30 pm is the approximate time of arrival at Al. Nevski Square. 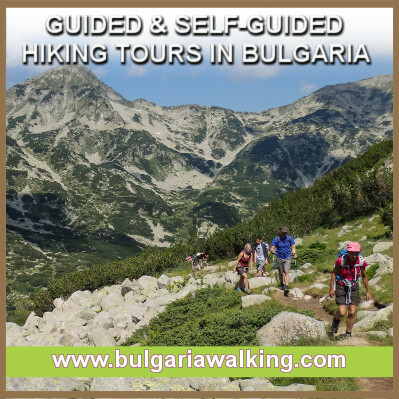 * Quite often the guide has to change the trip’s program and the group first visits the Boyana Church and then the Rila Monastery. 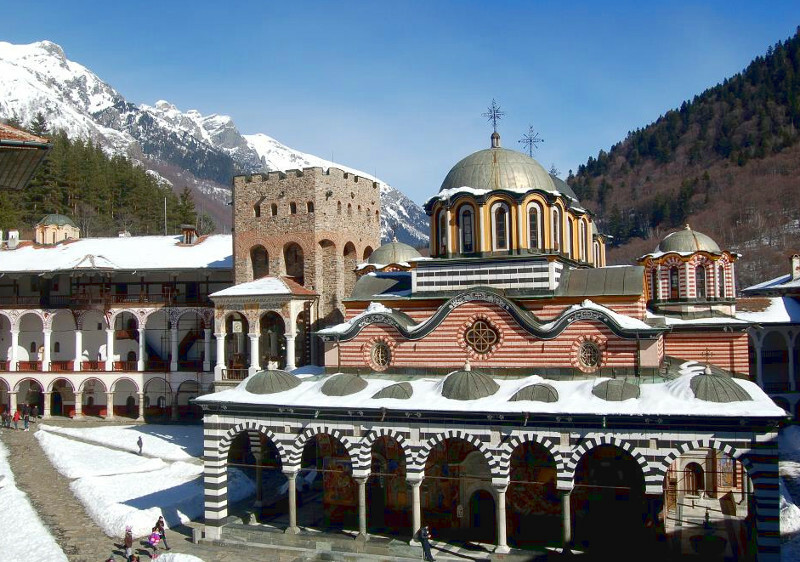 + The entry to Rila Monastery and its main church “The Nativity of the Virgin” is free. Price: 5 euro per device. Must be pre-booked! Price:5/10 euro per reservation not per person. Must be pre-booked! You can order this service online while making a reservation for your tour. 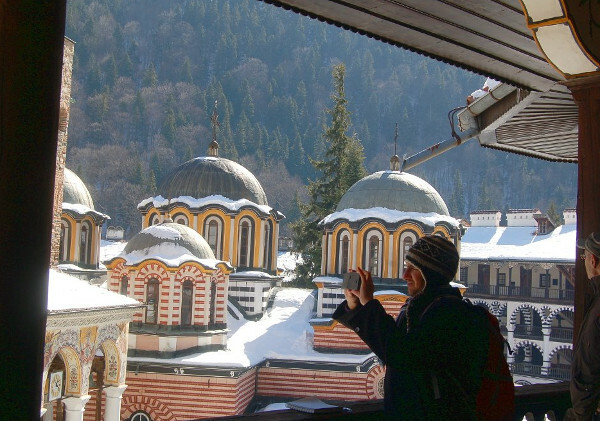 Most customers visit only Boyana Church and Rila Monastery’s ecclesiastical museum. All entrance fees must be paid in leva. Boyana Church: 10 leva pp (approx. 5 euro pp) – Read more by following the link. Rila Monastery Main Museum: 8 leva pp (approx. 4 euro pp) – Read more by following the link. 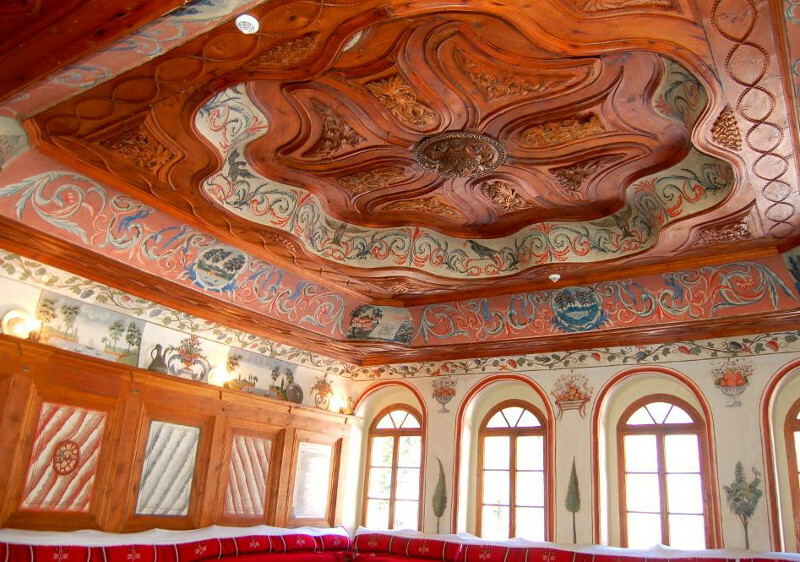 Revival-Period Guest Rooms and Ethnographic Museum: 5 lv pp (approx. 2.5 euro pp) – Read more by following the link. Hrelyo Tower: 5 lv pp (approx. 2.5 euro pp) Read more by following the link. Rila Monastery’s Museum of Daily Life: 6 lv pp (approx. 3 euro pp) – Read more by following the link. – Food,drinks and personal expenses. There are restaurants and small fast food stalls near the monastery. You can have a quick snack for as less as 4-5 lv (2-3 euro) per person or a 3-course lunch with a drink for approx. 15-20 lv (8-10 euro) per person. Read more about where to eat by following the link. 30 euro per adult; 25 euro per child. 35 euro per adult; 30 euro per child.